Here in this Picture Puzzles, there are Maths Equations given with the Geometrical shapes Triangle and a Star. Can you solve these Maths Equations to find the value of each of these shapes and then solve the last question to find the number which will replace the question mark? 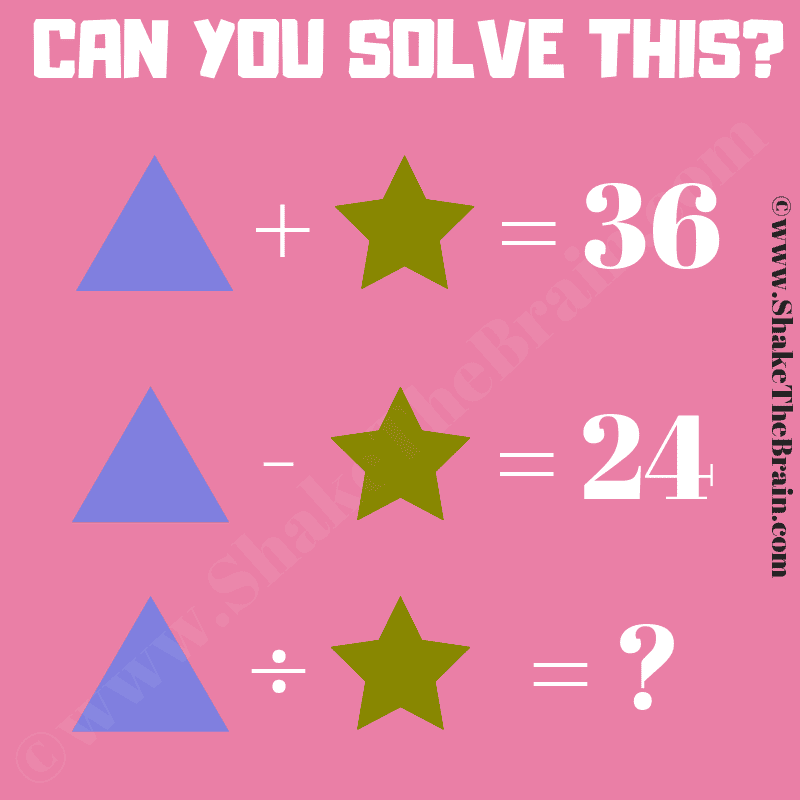 Can you solve this math equation brain teaser? So the answer is 5.